May 12, 2017 | -by: Guest Writer. Did you know that repeat customers are responsible for generating up to 40% of your store’s total revenue? This fact, combined with the climbing costs of digital ads, has led to a growing number of businesses committing more of their marketing budgets to retention efforts. While these retention strategies can take many forms, arguably the most successful one is definitely rewards programs. From points-based customer loyalty programs to referral and affiliate strategies, rewards have been instrumental to the success of brands in a wide range of industries. In fact, 87% of customers prefer to engage with brands that offer rewards. With such widespread approval, you would think nearly every customer would be engaged with a rewards program. Unfortunately, intentions can only get a customer so far. Properly promoting your rewards program is key to inspiring that commitment, and this promotion can come in a number of forms. From on-site tabs or modals to links in your navigation bar and on-site calls-to-action, there are multiple ways of getting your program in front of your customers. Email marketing is still one of the most effective forms of advertising. With smartphones making it increasingly easy for customers to compare brands on the go, you can almost guarantee that customers will see and receive your brand’s email messages no matter where they are. This accessibility gives you the opportunity to put your program in the palm of their hand, increasing the likelihood of engagement and opening the door for more customers to participate. 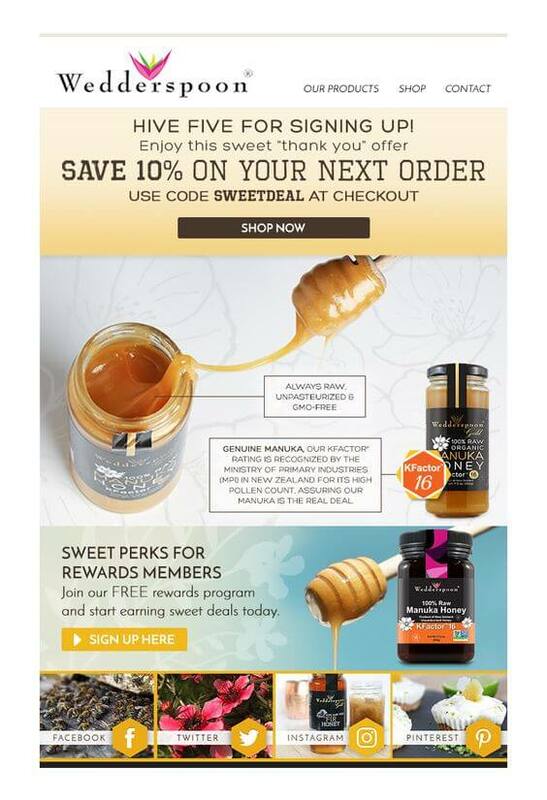 Let’s see how you can turn your email campaigns into rewards member magnets. One of the most common emails an ecommerce merchant sends is the welcome email. This email is typically sent to customers after they’ve made an account with your store, and as the name implies it welcomes them to your brand. This can include giving them a glimpse into your brand’s culture, highlighting new products or upcoming events, or simply thanking them for stopping by. A welcome message helps to build a customer relationship that extends beyond that first interaction. After all, you only get one chance at a first impression! Customer relationships are a marathon, not a sprint, so giving shoppers additional opportunities to engage with your brand amplifies the chances of them exploring further. Your rewards program can fit perfectly into this initial point of contact. One of the most common mistakes businesses make with their rewards program is treating it like a separate entity held apart from the parent brand. By keeping it separate, you frame it as a secondary consideration or a lesser part of your customer experience, dampening the excitement customers should feel about joining. Wedderspoon have made their rewards program a focus in their opening message, showing customers that rewards are a fundamental component of their brand experience that they can expect to enjoy with every interaction. This way, the inherent values of participating are front and center, increasing the desire to participate and the likelihood of a signup. If welcome emails are the first link in the customer-to-brand chain, invitation emails are the logical extension. Now that customers have been exposed to your program and recognize it, it’s time to get personal. Personalization is an important factor for many customers, making it critical for you as a merchant to take every available opportunity to weave it into your customer experience. Invitation emails are the perfect solution. Just like birthday messages or handwritten notes connect us with friends and family, receiving a specific invitation to join an exclusive community can go a long way to making customers feel truly connected to your brand. Between beautiful branded graphics, the rest of the email went on to describe and define the different features of the program, particularly how shoppers can earn and redeem rewards. Breaking the program down in this way made it highly accessible for new and returning customers, and eliminated the need for additional emails. With no confusion creating barriers between customers and their new program, Ivory Ella paved the way for genuine excitement, guaranteeing that customers would take notice and get involved. This same method can be applied to existing programs, too. Regardless of how long your program has been around, it’s never too late to send out an invitation. There are few things customers like more than saving money. As it stands, 55% of customers join rewards programs to receive discounts, which is one of the reasons why transactional rewards like discounts and free shipping are still so effective. With this in mind, it shouldn’t be a surprise that one of the best ways to get shoppers excited about your rewards program is through providing additional value. People like getting something for nothing, which is why birthday rewards and welcome points are so effective. These types of rewards get your customers excited about the earning process, and encourage them to continue making purchases in order to get closer to their first reward. However, as effective as these rewards are, you can make them even more effective by introducing an element of scarcity. When something is offered and advertised “for a limited time”, customers experience a sense of urgency that spurs them to complete actions faster in order to take advantage of the value being presented. Take Loeffler Randall, for example. In this email campaign, they used their LR Insider program as a way to increase sales within a 24 hour period. 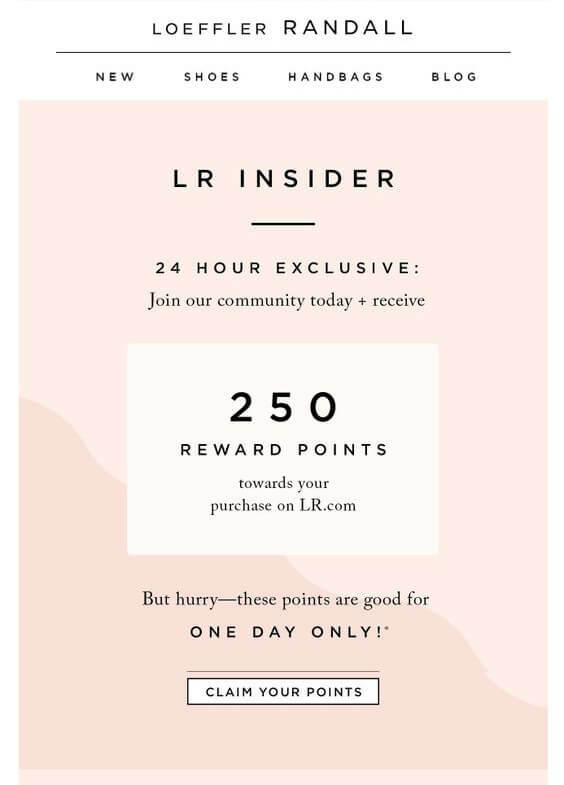 In return for joining their rewards program, customers would receive 250 points that they could use towards a purchase that day. They took this one step further by using words like “exclusive” and “VIP”, painting a picture of an elite community that customers will want to be a part of. 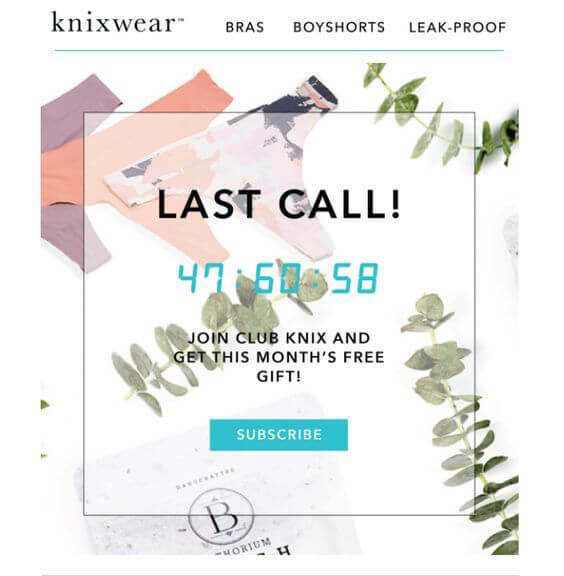 Knixwear perfectly executed the scarcity email when they promised customers a free gift if they signed up for their program within a certain window of time. To make the signup process easier, they included a clear “Subscribe” button below a live countdown clock, connecting the value of their reward to the urgency of the offer. With these emails, you can tie your program’s rewards to a sense of immediacy, ensuring that customers will automatically associate the two together in the future. This instant gratification is ultimately what will bring your customers back and have them looking forward to the next great offer you send. There are few things that inspire action quicker than the fear of missing out (FoMO). Defined as “a pervasive apprehension that others might be having rewarding experiences from which one is absent”, FoMO has the power to manipulate our social behaviors as we attempt to make sure we don’t miss out on something truly spectacular. The same can be said for our financial and purchase decisions. Think back to middle school, when it seemed like everyone was wearing the same brand of jeans. Whether you want to admit it now or not, chances are you found yourself wanting to buy similar clothes just to be part of the group. This need for community can have incredible power over your customers’ decision to participate. When your rewards program feels inclusive and welcoming, customers begin to associate positive feelings with your brand. 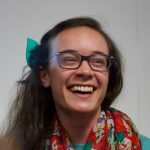 But sometimes, customers simply don’t want to take the time to sign up without a good reason – no matter how appealing your welcome and invitation emails might be. In these cases you need to give them a reason, so why not show them what they’re missing? 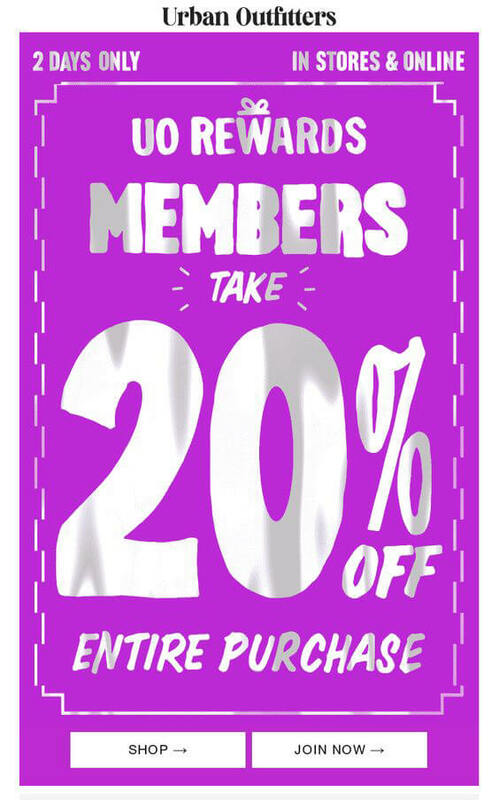 Urban Outfitters is extremely good at this, periodically sending their subscribers emails that clearly describe the benefits their UO Rewards members are receiving. These messages are delivered to both members and non-members, and highlight all of the benefits non-members are missing. This type of marketing creates an urgency through perceived missed value, fostering the need to get involved in order to experience similar rewards. DAVIDsTEA takes a slightly different approach. 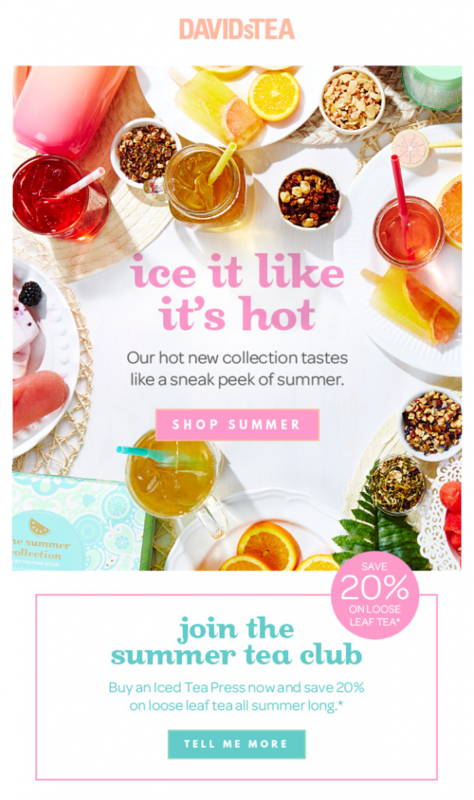 In their latest newsletter, they offer customers the chance to join the “summer tea club”, which promises 20% off all loose leaf tea purchases for an extended period of time. 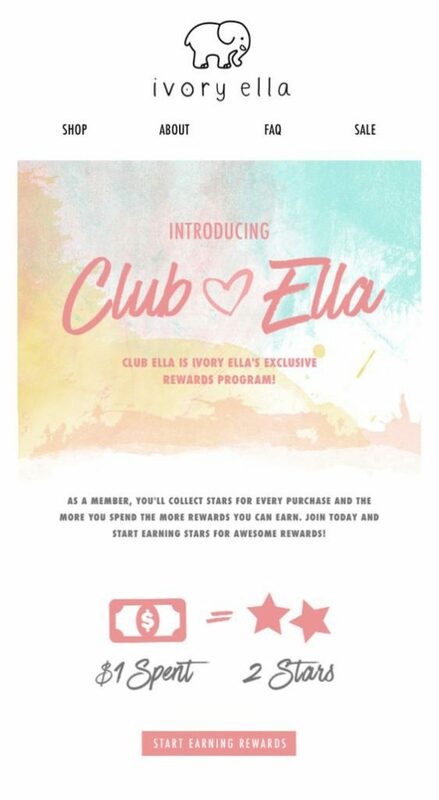 While they don’t expressly indicate that this promotion is tied to their Frequent Steeper rewards program, the use of the word “club” infers you need to belong to a special group of customers in order to receive the benefits. This innovative approach to rewards marketing creates the desire to belong, getting more customers to explore the promotion and what it means to belong. Using a combination of these types of techniques, you can easily soothe your customers’ fear of missing out by making sure they always feel like they belong in the thriving, engaged community of your rewards program. When it comes to your rewards program, customer engagement is possible at every stage in the customer journey. The key to remember, however, is that it doesn’t happen naturally. By incorporating intentional, well-designed promotional emails into your larger marketing strategy, you can encourage valuable, long-term commitment from your customers.